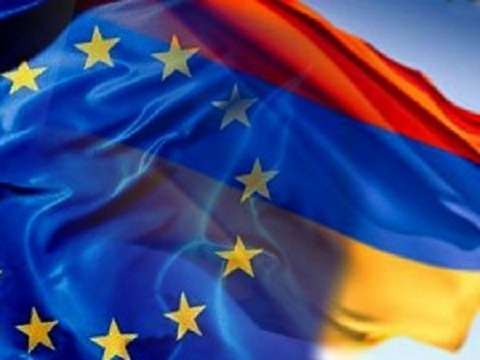 The European Union gave green light to the EU-Armenia visa facilitation agreement. Procedures for Armenian citizens travelling to the EU will face a quicker visa process and less bureaucracy. Below we provide you with more information. Armenian citizens will face fewer hurdles to travel to the EU for short stays, under an EU-Armenia visa facilitation agreement backed by the European Parliament on Wednesday. MEPs also gave their green light to an EU-Armenia agreement on the readmission of persons residing without authorisation. The new rules will make the procedures quicker (the decision will have to be taken within 10 days, in urgent cases two days or less), cheaper (the visa fee for processing applications of Armenian citizens shall amount to 35 €) and less bureaucratic (the documents to be presented regarding the purpose of the journey have been simplified for some categories of persons, in particular for close relatives, members of official delegations, students, business people, journalists, scientists, etc). “The simplified visa regime can bring a new impetus to cooperation, mainly to mobility of citizens, which is essential in building people-to-people contacts”, says rapporteur Edit Bauer (EPP, SK). The EU has already concluded visa facilitation agreements with nine non-EU countries. From countries of South Caucasus there is such agreement concluded only with Georgia so far, but the negotiations with Azerbaijan are already under way. “To balance the visa facilitation agreement, effective measures are also needed to prevent and control illegal migration flows”, Ms Bauer adds. Readmission agreements go usually hand-in-hand with visa facilitation agreements. The objective of this agreement is to establish, on the basis of reciprocity, rapid and effective procedures for the identification and safe and orderly return of persons residing without authorisation.